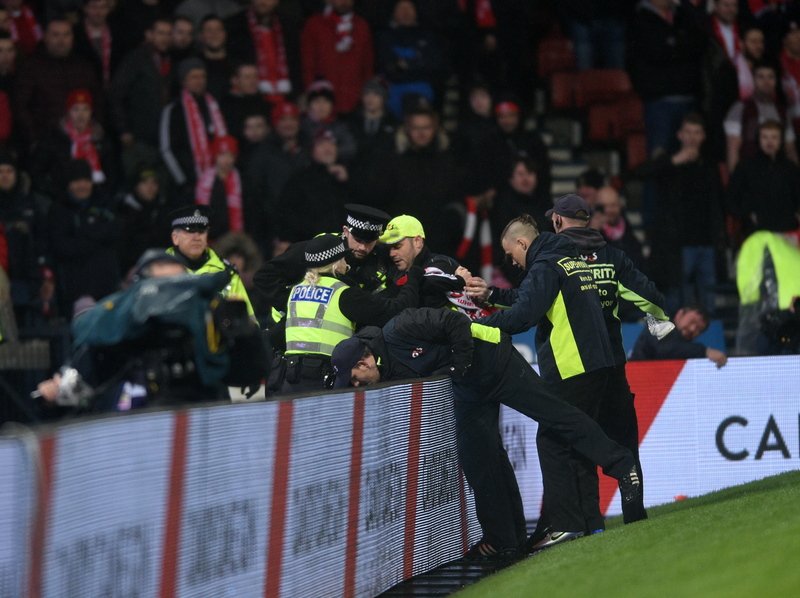 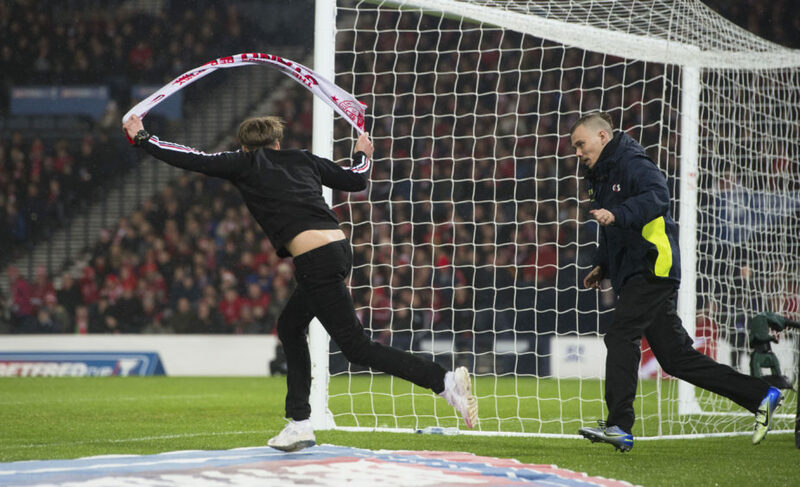 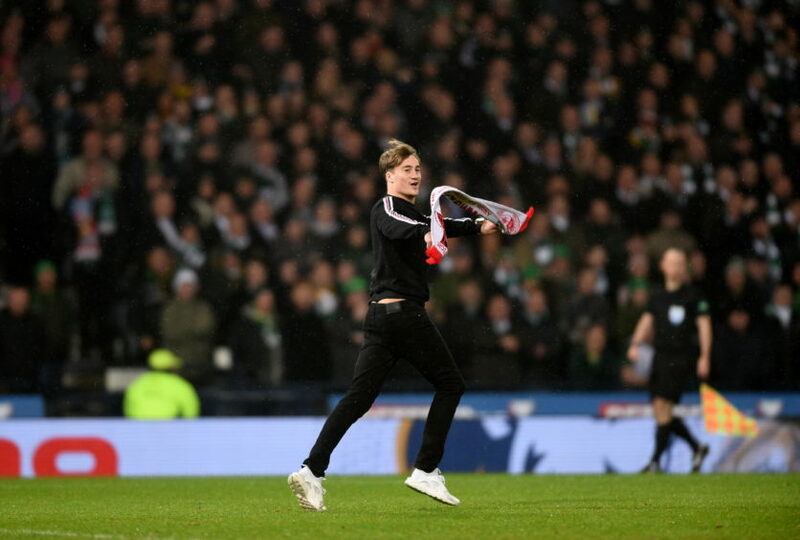 Dons fan Gavin Elpinstone raced onto the pitch at Hampden. 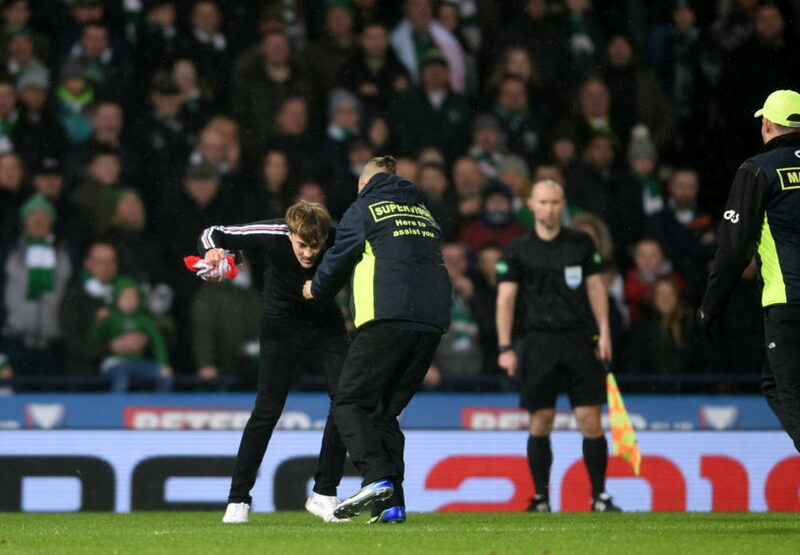 Gavin Elpinstone, vaulted from a stand and made his way on to the field where he intercepted a pass from Celtic keeper Scott Bain to a teammate. 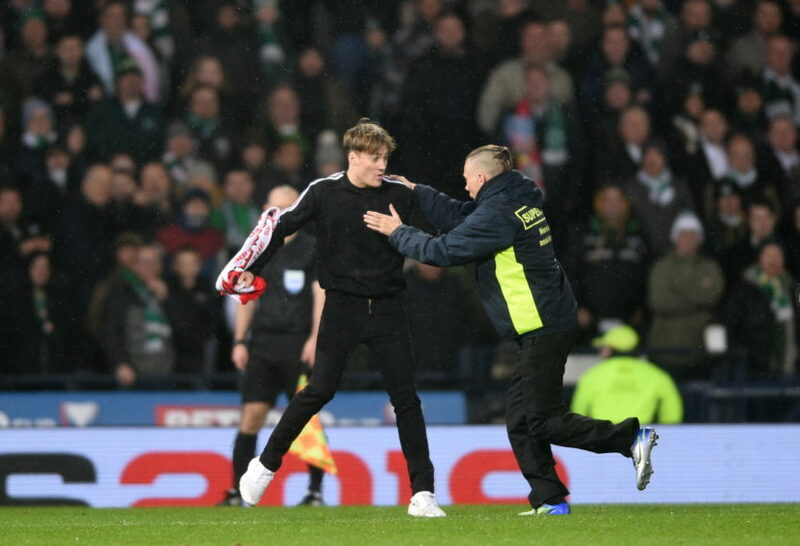 The 25-year-old, from Aberdeen, made it past stewards but was removed from the pitch during the Hoops’ 1-0 win over the Dons.